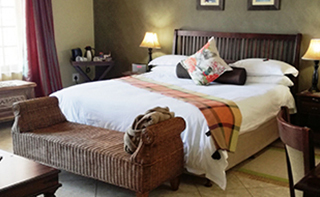 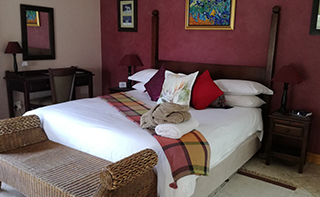 Each of the 11 guestrooms has been individually designed with our guests’ ultimate comfort in mind; the colours and décor reflecting the rich vibrancy of the African continent While six of the rooms are situated in the main building, the other five rooms are located in the annexe overlooking the guest house courtyard. 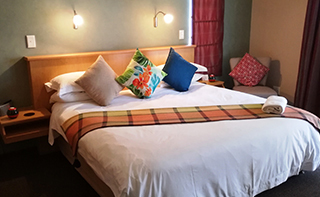 The bedrooms are equipped with a flatscreen TV, independent satellite decoder, minibar, air-conditioning and/or ceiling fans, and underfloor heating. 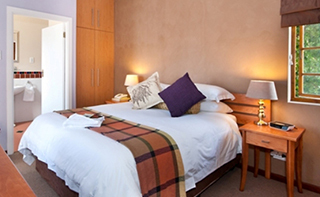 There is also a complimentary tea and coffee service tray in the room.